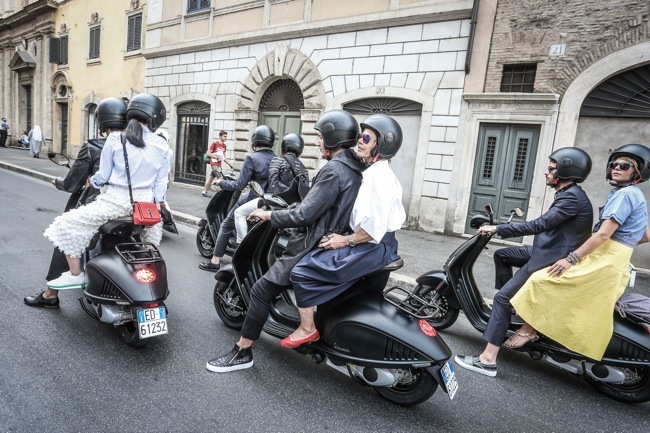 Developed jointly by Giorgio Armani and Piaggio to celebrate two of Italy’s most established symbols of style and creativity. 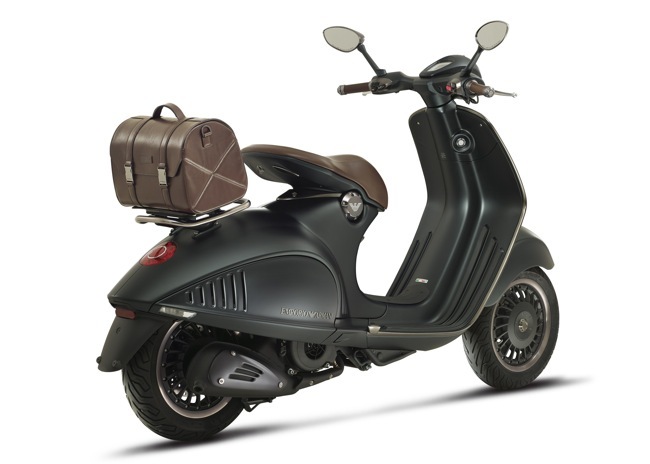 Vespa 946 Emporio Armani was developed jointly by Giorgio Armani and Piaggio to celebrate two of Italy’s most established symbols of style and creativity. 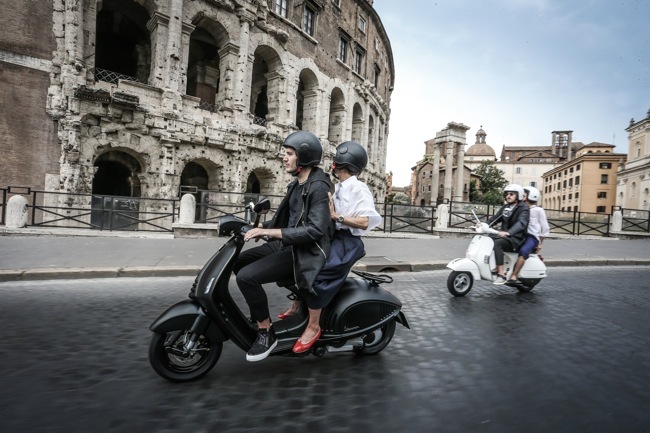 The Vespa 946 Emporio Armani will be produced in an exclusive run of individually numbered scooters, and will be on sale in selected world cities starting from June. No word has come through as to whether we will see this model in Australia. 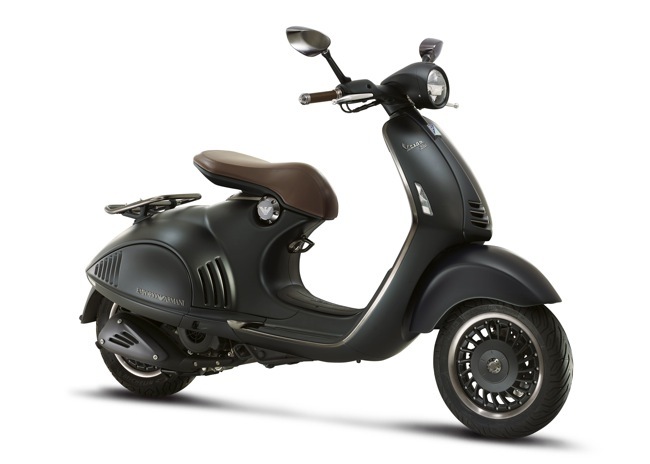 For the latest 946 Bellissima model currently available visit Vespa.com.au. 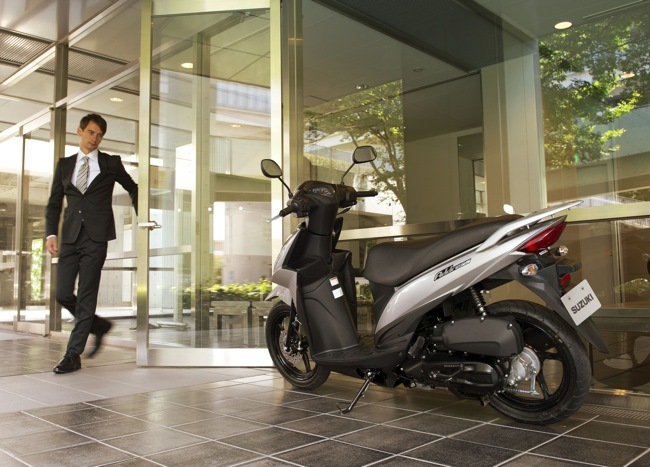 When it comes inner city travel Suzuki has you covered with the smart, youthful looking Address 110. 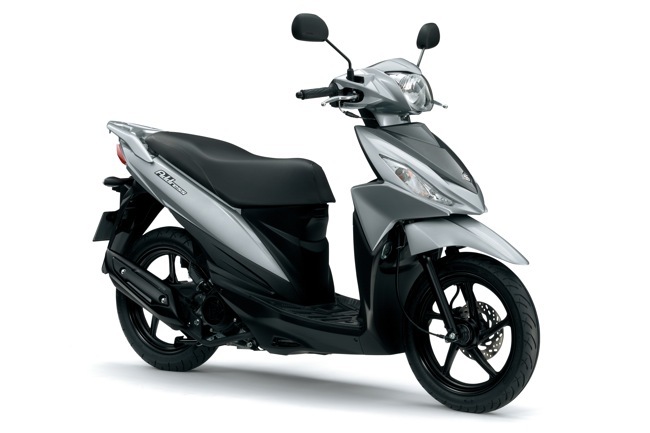 When it comes inner city travel Suzuki has you covered with the smart, youthful looking Address 110 ready to give you an exciting method of getting from A to B and back again. 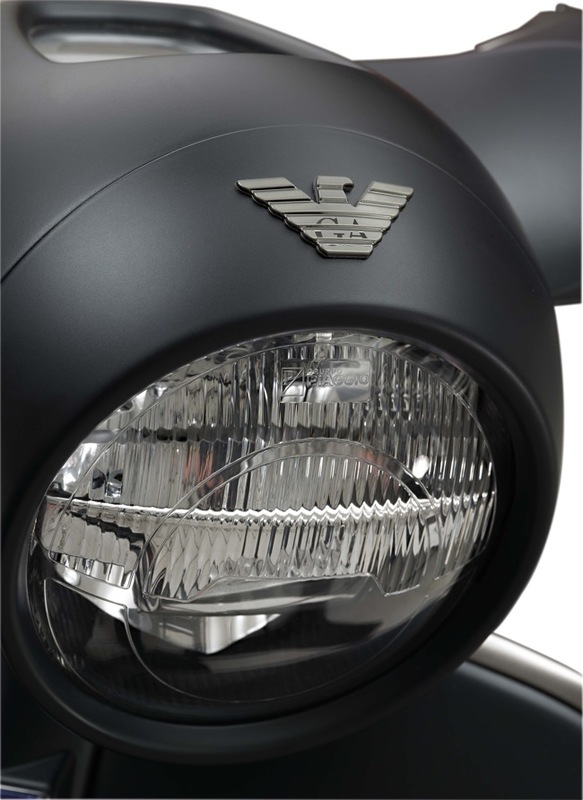 A lifestyle statement says as much about your personality as where you want to go, this head-turning, street-smart all-rounder is more than just a stylish commuter. Comfort and convince are two key factors when traveling through town or around your local suburb and with this in mind the Address 110 boast new streamlined dimensions that are built with generous comfort in mind. What's more, the Address 110's floor board has enough space to adjust your foot position. 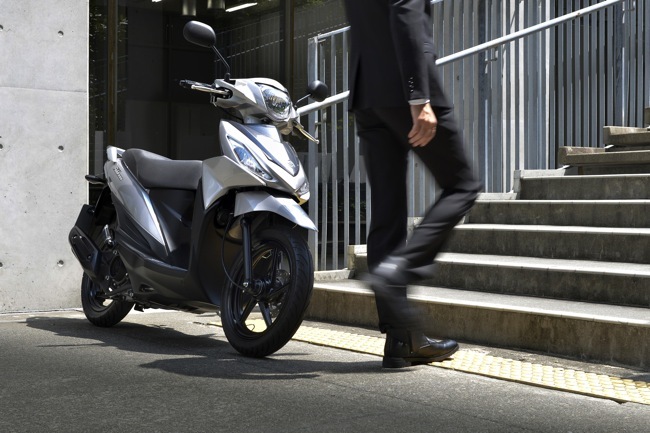 While small in looks the street smart scooter from Suzuki has more than enough room to stash your full-face helmet, rain gear and other items in the roomy 20.6 litre underseat storage compartment, generously designed for extra spaciousness and convenience. Additionally, two storage compartments on either side add another 1100ml of storage space for that quick stop at the shops on the way home. 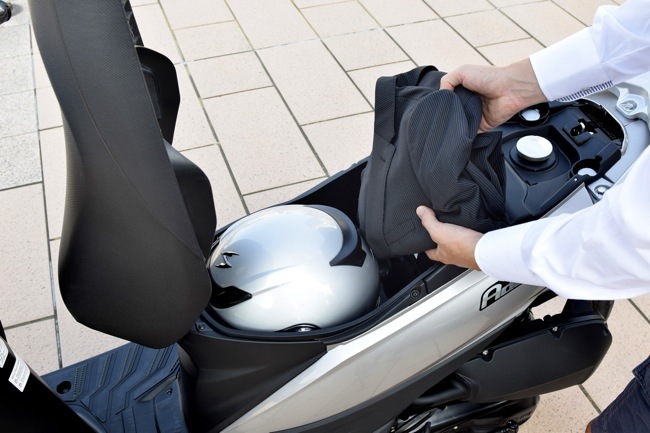 With security in mind the key hole to the storage compartments is covered by a lid to prevent motorcycle theft that is accessed using the main ignition keyhole, eliminating the need to remove your key to open seat compartment. The large-capacity 5.2 litre fuel tank combined with the specially designed and super-efficient Suzuki ECU, ensures the ADDRESS can achieve up to an astonishing 255km* on a single tank of fuel. 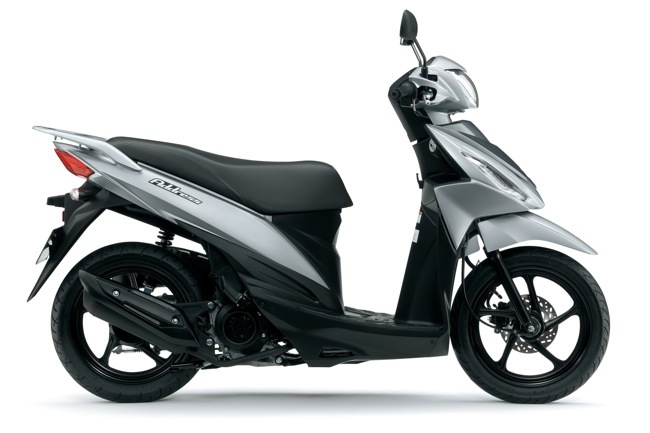 It's not hard to be noticed with the Address it's definitive sharp, youthful good looks and from only $2,990 ride away, the new Suzuki Address 110 is ready to have you traveling the city and suburban streets in style. For more information on the Suzuki ADDRESS 110 head to suzukimotorcycles.com.au or visit your local Suzuki Motorcycle dealership. 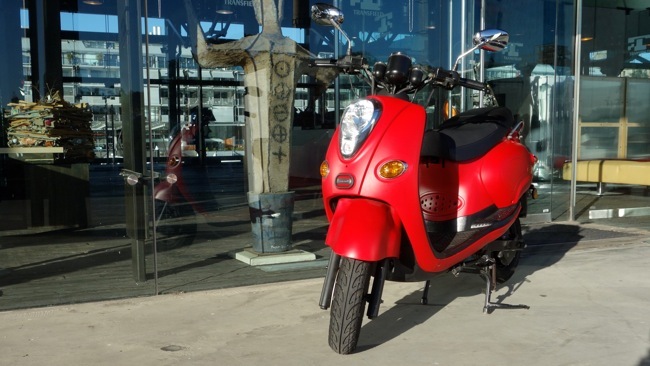 Introducing Australia’s first 100% electric scooter. 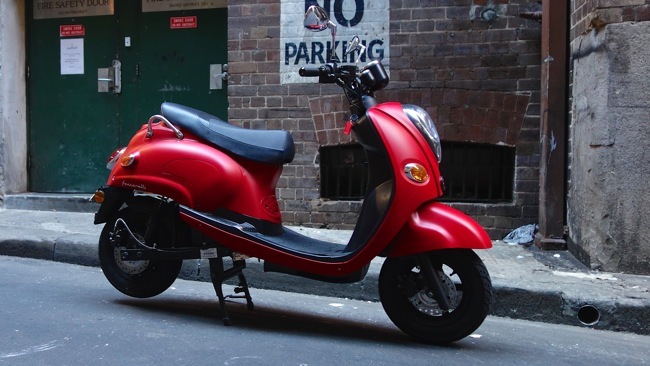 We take the Fonzarelli 125 for a ride through Sydney's city streets. 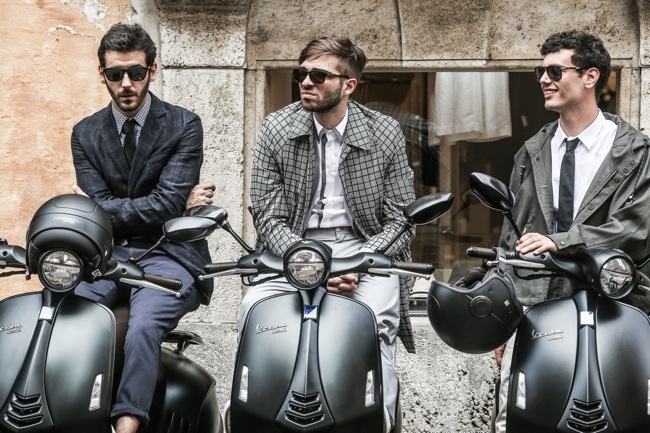 We're excited to see a new player enter the traditional scooter market. 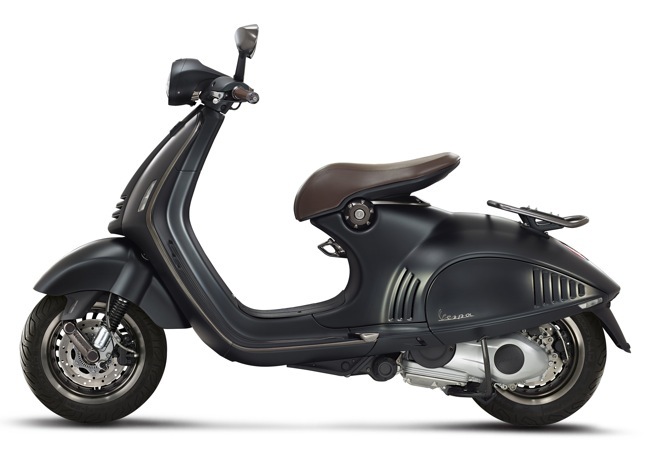 Introducing the all-new Fonzarelli "Electric" 125cc equivalent scooter. 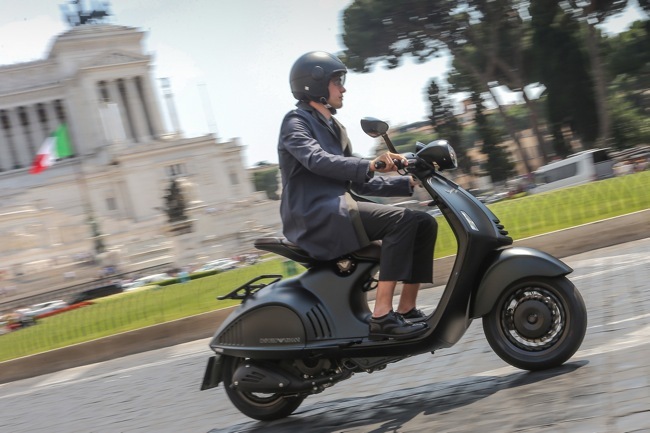 With its funky retro styling and low seat height, the Fonzarelli could just be what you're looking for, especially if you've been researching petrol powered equivalents - which there are very few real road registrable offerings on the market. 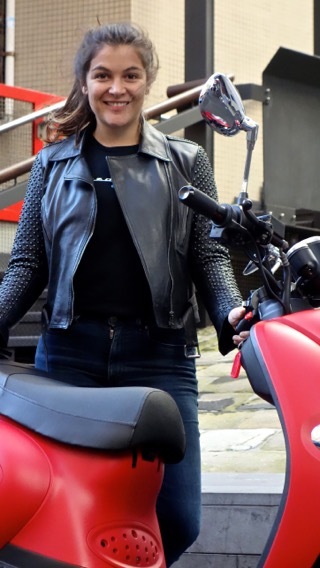 Our Pete Gailey was lucky enough to meet up with Sydney-based Michelle Nazzari, the brain child behind developing the Fonzarelli. Fonzarelli's clever super light removable battery system means you can charge it anywhere. With no oil, this means you can enjoy emission free motoring. See Pete's first impressions below. For more information check out Fonzarelli.co. Pete Gailey - 1st time electric ride. 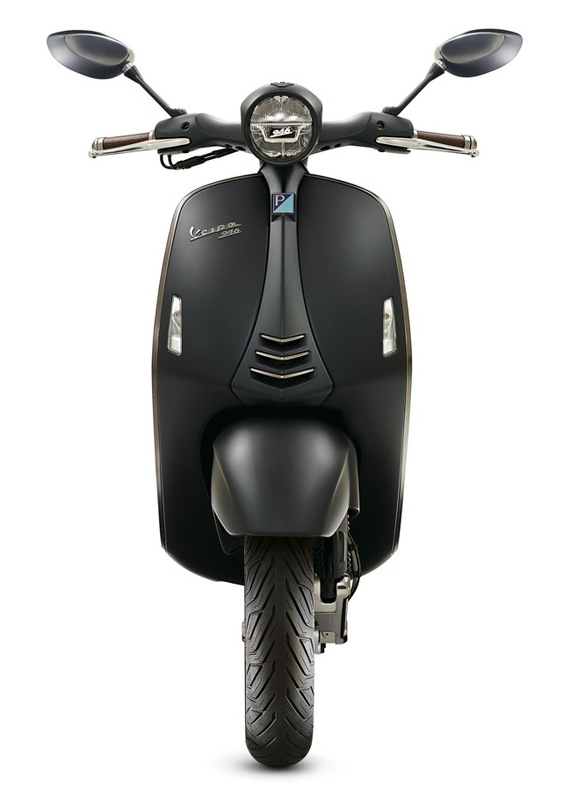 I got my first ride on an electric scooter last week, the Fonzarelli Electric 125. 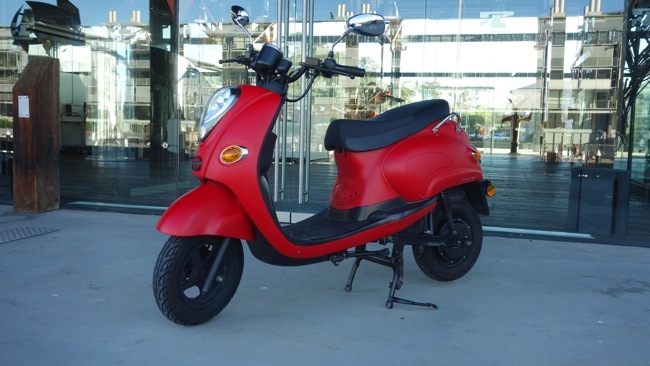 Designed and developed by Australian Michelle Nazzari, her small-wheeled, electric powered, retro styled scooter proved to be quite an exciting ride. 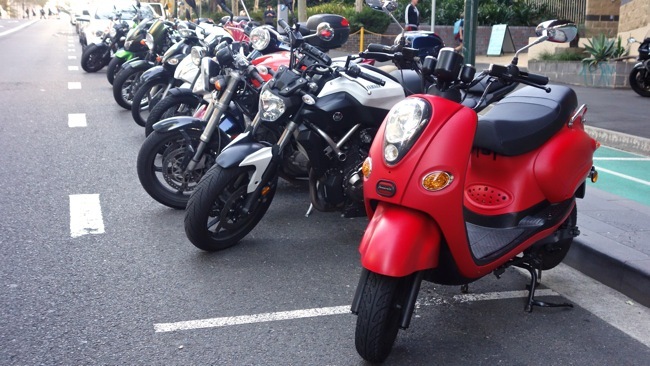 In NSW and Victoria you will need a motorcycle licence to ride the Fonzarelli, but in other states it will be possible to have the top speed limited (to that of a 50cc scooter) so you can ride it with a standard car licence. 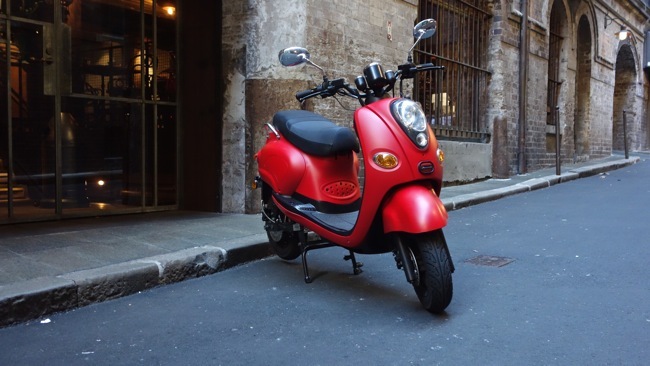 The Fonzarelli is ADR (Australian Design Rule) compliant and road registrable making it an exciting proposition for the urban Australian commuter. 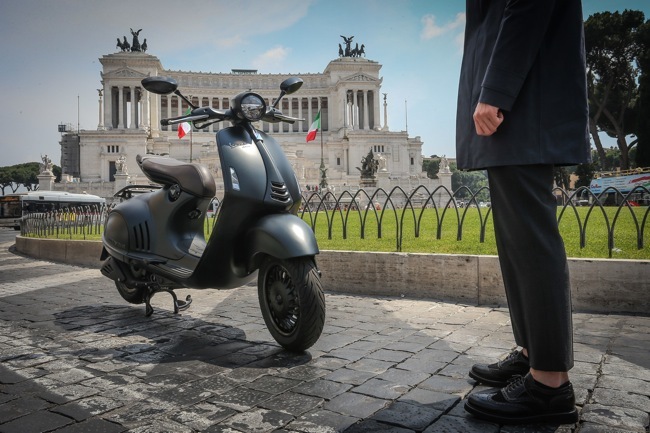 Although it's priced slightly higher than a petrol powered equivalent, the Fonzarelli costs less than a dollar to recharge for its 70-100km range. 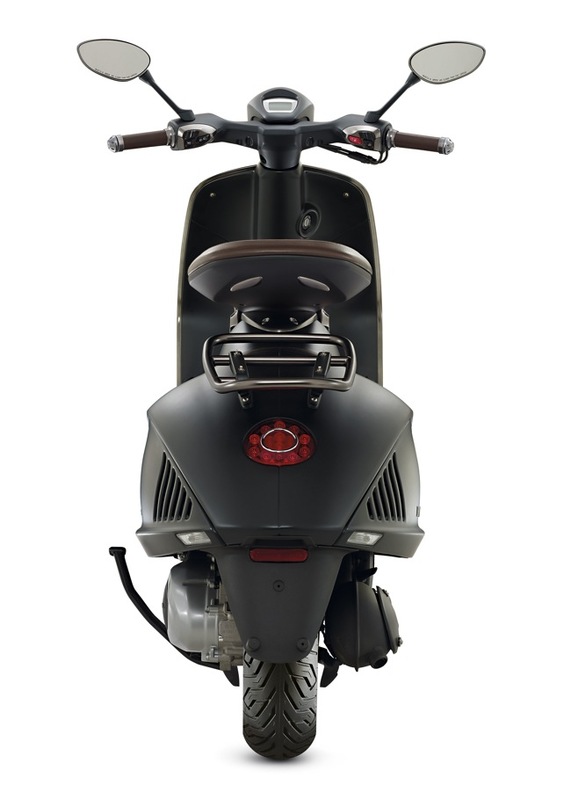 This scooter will cut hundreds from your commuting budget whilst you feel good about cutting down your environmental footprint. Looking at the Fonzarelli it’s hard to tell it apart from the swarm of other small scoots on the city streets. Retro styling, 10” wheels, normal lights, brakes, dashboard instruments, there all familiar. 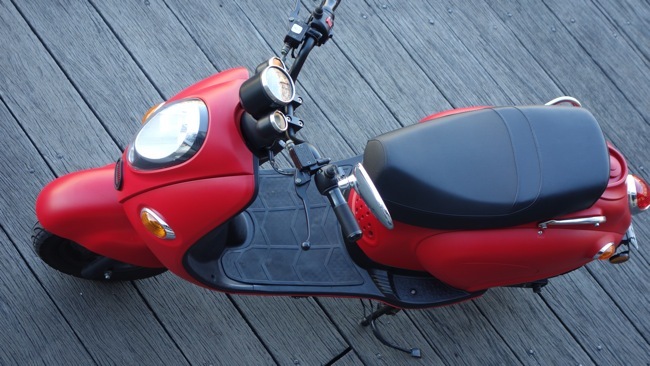 The matt red finish looks cool, but it's not until you look under the seat and see the twin lithium battery packs, fully integrated in a professional way. Then there's the power boost button and the ability to reverse when required. Now it starts to sink in that this is a well thought out, clever design. 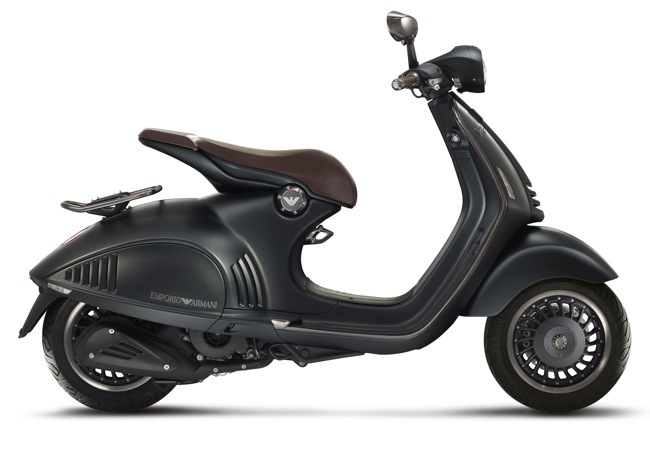 With no engine and transmission strapped to the swing arm, no petrol tank, the scooters weight has been stripped down to a low 98kg. 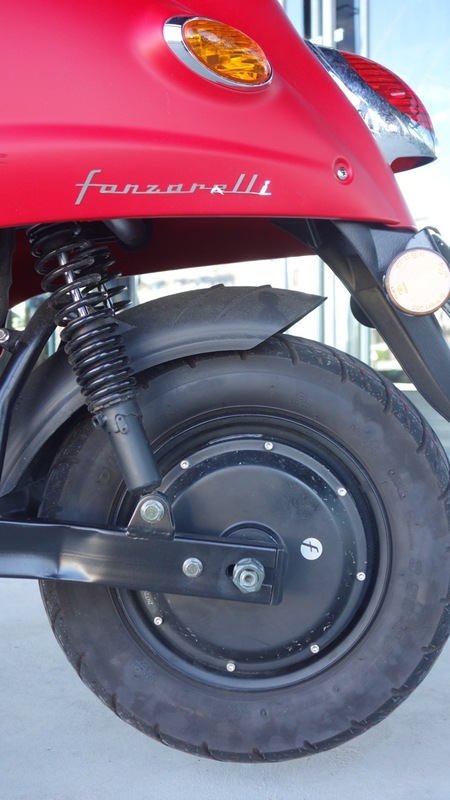 The Fonzarelli has two 72 volt power cells under the seat and a 2500watt brushless DC electric motor in the hub of the 10” rear wheel. 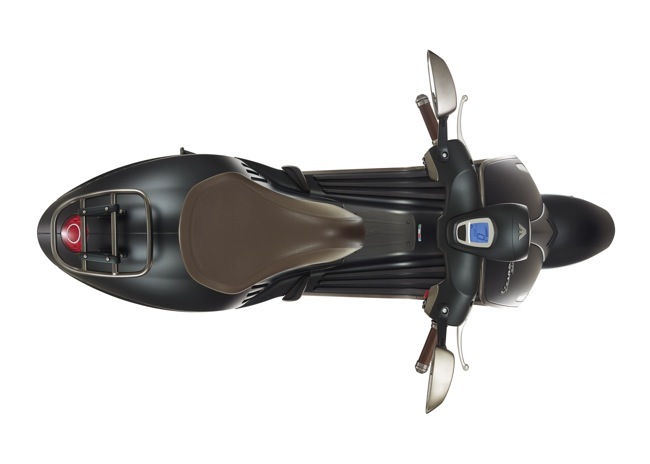 Regenerative braking returns kinetic energy to the battery and when you brake and glide the Fonzarelli rolls effortlessly, it's quick and smooth with no vibration what so ever. It's also weirdly quiet, no one can hear you coming, totally stealth, all you can hear is the wind, it’s sort of like flying through the city streets. 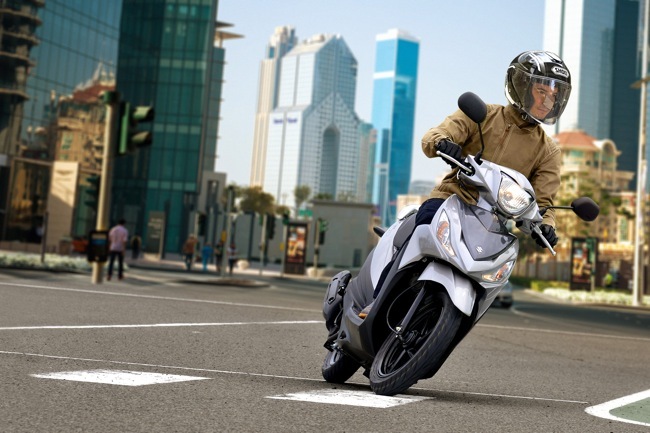 Handling was what you’d expect from any small-wheeled scooter, manoeuvrable and easy to weave in and out of slow moving traffic, but you will feel irregularities over rougher road surfaces. My ride was restricted to the CBD where the Fonzarelli excels. It’s performance is lively and totally competitive. The engine also has this 8sec power boost button for hills and overtakes. 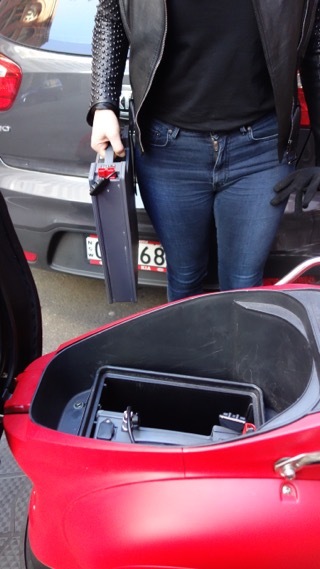 Battery range is between 70-100 km's depending how you ride it, top speed is between 70-80 km/h so that limits the Fonz to inner urban roads and shorter trips. At one stage I had taken a shortcut along a footpath to park and with the silent running motor it felt like you could get away with it (please note Scooter is for road use only). I even used reverse a couple of times when parking and I found it surprisingly useful. 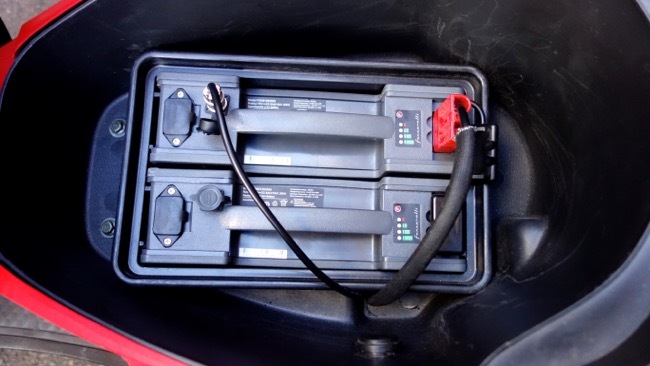 The battery units are designed to be easily pulled out from under the seat and recharged by plugging them straight into a 240V wall socket. It takes around an hour to have them reach 80%. The engine can also be tuned by a computer to suit individual riding styles. It’s also nice to know that any major component (that includes battery, motor and controller), comes with a 2-year parts warranty for total piece of mind. Michelle rides her Fonzarelli from Bondi to the City daily, an 8 km run that includes some decent hills, it's perfect for this type of work. Michelle is looking to the future, but isn't it totally refreshing to have somebody so committed and dedicated to electric. This is no pretend import out of China, Michelle has taken the time to develop the Fonzarelli in a professional real-world way. 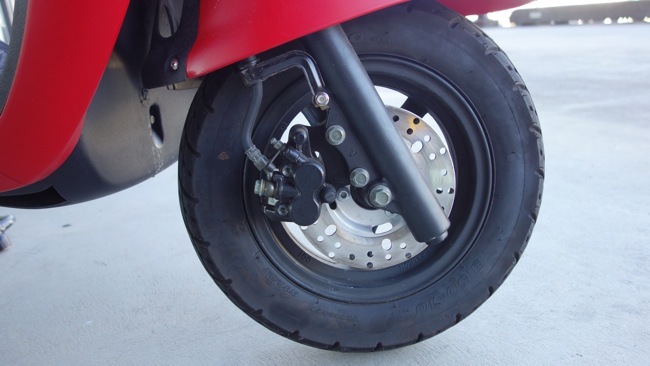 We could see the model benefit from a slightly larger front wheel for better handling but that's about it. 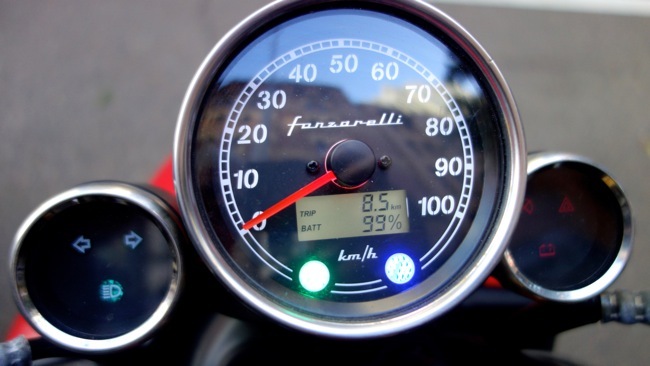 The Fonzarelli is the real deal for early adopters who are wanting the latest and greatest in electric. 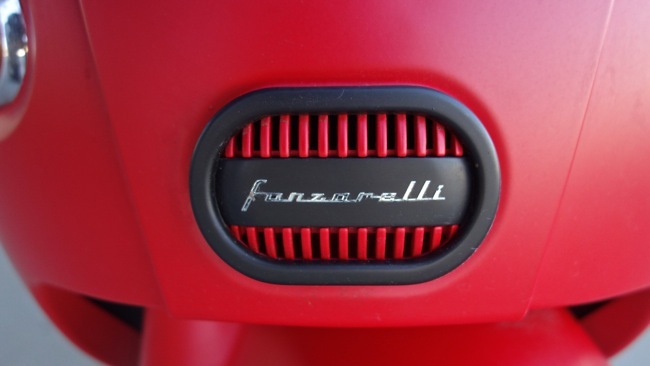 Describing words for the Fonzarelli would include innovative, clever, chic, eco, zero emissions, uber-urban, torquey and lively…a taste of the future. I love the fact it’s been Aussie developed. We look forward to doing a long term review to see how the model continues to perform over time. Fonzarelli is one to watch. First deliveries have already started at the purchase price of $4,490 + ORC and this includes introductory free delivery if you live in a capital city (metro only).